2008 was a watershed year for global finance. The banking system was eventually pulled back from the brink, but the world was saddled with the worst slump since the 1930s Depression, and millions were left unemployed. While numerous books have addressed the financial crisis, very little has been written about its social consequences. 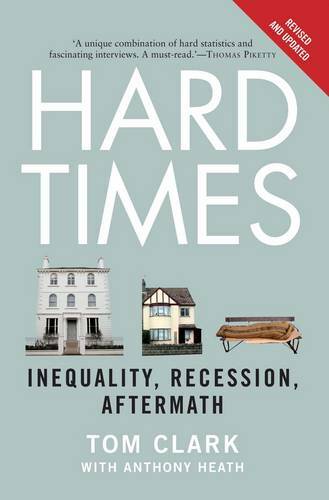 Journalist Tom Clark draws on the research of a transatlantic team led by Professors Anthony Heath and Robert D. Putnam to determine the great recession's toll on individuals, families, and community bonds in the United States and the United Kingdom. The ubiquitous metaphor of the crisis has been an all-encompassing "financial storm," but Clark argues that the data tracks the narrow path of a tornado-destroying some neighborhoods while leaving others largely untouched. In our vastly unequal societies, disproportionate suffering is being meted out to the poor-and the book's new analysis suggests that the scars left by unemployment and poverty will linger long after the economy recovers. Politicians on both sides of the Atlantic have shown more interest in exploiting the divisions of opinion ushered in by the slump than in grappling with these problems. But this hard-hitting analysis provides a wake-up call that all should heed.